Hall of the Mountain King: Review: Whiskey Myers, "Early Morning Shakes"
Case in point, my personal favorite tune from the record, “Headstone.” The main guitar riff from Cody Tate (one of two Codys in the band) and John Jeffers is rowdy, nasty and grooving, and the big chorus of the tune gets stuck in your head. Tate delivers just as big on the guitar solo as the primary riff. The result is about as good a Southern rock tune as you’re likely to find these days. The title track opens the record with some bluesy influences in the slide guitar and harmonica. Again, there’s a great groove and melody, and the other Cody – singer Cody Cannon – makes his presence felt early on. Cannon’s a very versatile singer with a great tone for this style of music. He can get down and dirty with the best of them, but also deliver a heart-wrenching ballad. The bookends of Early Morning Shakes show that clearly, with the rollicking tone of the title track and the plaintive and emotional delivery on album closer “Colloquy.” Tate adopts a melancholy moan on that last song, and unlike the louder moments on the record where the guitar, drums and bass drive the good times, it’s Cannon’s vocal that moves this song forward and moves the listener as well. Whiskey Myers does a very good job of mixing things up on this record. There are plenty of hard drinking, hard driving, hard rocking numbers. The band delivers a version of David Allan Coe’s “Need a Little Time Off for Bad Behavior” that’s rowdy enough to make the man himself proud. “Where the Sun Don’t Shine” is a classic Southern rock tune that speaks to a hard-scrabble, blue collar rural life and the less-than-savory choices that people in that position sometimes make to make ends meet. “Wild Baby Shake Me” has a slinky, seductive groove to match the subject matter, but slows things down for a nice finish with some female backing vocals setting the stage for more big guitar licks from Tate. It has a very classic 1970s feel to it. The quieter moments on the record make a statement, too. The dark “Reckoning” perfectly matches its music to the melancholy and lonely tone of Cannon’s lyrics, which are some of the best on offer here. The piece at first seems to be about a love gone bad, but then takes a gut-wrenching turn in the second verse. It’s a song that will certainly connect with anyone that’s ever been in the position of its subject. It may be the strongest number on the album, all things considered. On a less sad note, “Shelter from the Rain” brings a light-hearted pop-influenced love song into the mix. It doesn’t have the power of “Reckoning,” but gives a nice break from the heaviness of the other slower pieces on the record. Whiskey Myers, though, is also adept at mixing things up within the same song. At first blush, “Dogwood” appears to be a pure feel-good tune, upbeat and driving. It trots out some of the tired tropes we hear often in modern country music — dancing on the creek bank, trucks on a dirt road — but much like “Ballad of a Southern Man” did, it turns those on their heads as the narrative of the song takes it in a more meaningful direction. Like a good Southern rock outfit, Whiskey Myers is a unit. Cannon’s versatile vocals certainly shine, as he brings a soulfulness to everything, even some of the harder rockers like “Hard Row to Hoe.” But they would lose something without Tate’s blistering hot lead licks or the grooving riffs of Jeffers. While bassist Gary Brown and drummer Jeff Hogg don’t often stand out, they provide the backbone that keeps your head bobbing and feet tapping as the album plays out. This record truly gives you the feeling that things wouldn’t be nearly as tight-knit without every element of the band in place. 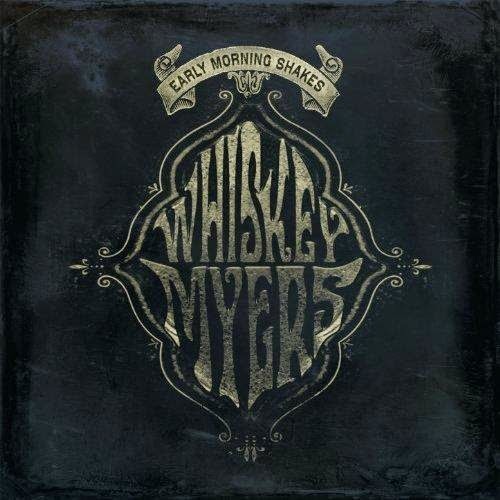 Whiskey Myers, to me, represents exactly what a good modern Southern rock band should be. There’s a reverence for the classic bands of the genre. You can hear some Skynyrd and Allmans and even the occasional bit of ZZ Top in their sound. At the same time, there’s also a willingness to draw from more modern rock sounds, country and the Red Dirt scene. It’s a blend that gives the band a classic Southern rock sound, but without a hint of derivativeness about it.